Our SEO service is affordable and effective. The service includes choosing the best keywords for your website and putting them in your site as metadata, as well as putting a description of your site. The “key” to keywords is trying to narrow down the search to your area and expertise. 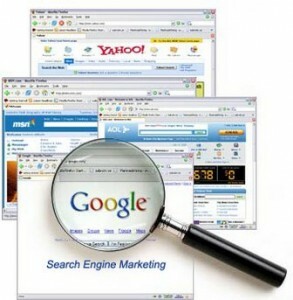 Once we do this we have software that can be used so that over 15,000 search engines recognize your site. The cost for this service is a one time fee of $69.95. • FREE SEO Tools that build traffic! To help our customers succeed online, we’ve included a powerful set of tools in your website control panel called “Free Search Engine Optimization (SEO) Tools.” Clicking any of these icons will take you to your Free SEO Tools by Attracta, The World’s Largest SEO Service. One of the Tools Attracta provides, “Get In Google,” automatically generates a properly formatted, 1,000-page XML Sitemap of your website, submits it directly to Google, Bing, Yahoo! and Ask and verifies receipt. All with a single click! Submitting a Sitemap is a great way to ensure that all of your site’s pages are being properly indexed by the search engines and is, according to Google themselves, something every website owner should do. Click here for FREE SEO Tools!!!!!!! !